Stories like a Tortoise Hunting Ostriches.......?  It is with great thanks to James A. Honey that this volume was ever compiled. 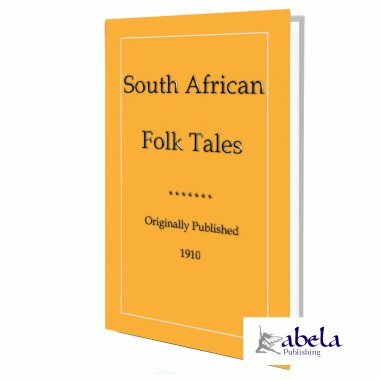 For there are few volumes currently available with these old and forgotten tales from across South Africa. In this volume you will find forty-four uniquely South African tales. Stories of The Lost Message, The Monkey's Fiddle, The Leopard, The Ram and the Jackal, The Lion the Jackal and the Man, Tink-Tinkje, The Lioness and the Ostrich, Crocodile's Treason, The White Man and Snake, Tortoise Hunting Ostriches, The Judgment Of Baboon, When Lion Could Fly, The Origin Of Death and many more. In the days before the many languages of South Africa were first recorded and written, these are stories that were used by the Sangomas (medicine women) and the Umxoxi Wendaba (story tellers) to teach their children the moral lessons of life and orally pass their knowledge on to the next generation. So gather around the campfire and share the many stories in this book to the delight of young and old alike. Then when the hour grows late, when sparks from the fire have stopped ascending into the black night and young heads and eyelids have grown heavy; when the dying fire is making long shadows dance across the veld, close the book with the promise that another African story will be told on another day. THE birds wanted a king. Men have a king, so have animals, and why shouldn't they? All had assembled. "The Ostrich, because he is the largest," one called out. "Eagle, on account of his strength." "Not he, he is too ugly." "Vulture, because he can fly the highest." "No, Vulture is too dirty, his odor is terrible." "Peacock, he is so beautiful." "His feet are too ugly, and also his voice." "Owl, because he can see well." "Not Owl, he is ashamed of the light." And so they got no further. Then one shouted aloud, "He who can fly the highest will be king." "Yes, yes," they all screamed, and at a given Signal they all ascended straight up into the sky. Vulture flew for three whole days without stopping, straight toward the sun. Then he cried aloud, "I am the highest, I am king." "T-sie, t-sie, t-sie," he heard above him. There Tink-tinkje was flying. He had held fast to one of the great wing feathers of Vulture, and had never been felt, he was so light. "T-sie, t-sie, t-sle, I am the highest, I am king," piped Tink-tinkje. Vulture flew for another day still ascending. "I am highest, I am king." "T-sie, t-sie, t-sie, I am the highest, I am king," Tink-tinkje mocked. There he was again, having crept out from under the wing of Vulture. Vulture flew on the fifth day straight up in the air. "I am the highest, I am king," he called. "T-sie, t-sie, t-sie," piped the little fellow above him. "I am the highest, I am king." Vulture was tired and now flew direct to earth. The other birds were mad through and through. Tink-tinkje must die because he had taken advantage of Vulture's feathers and there hidden himself. All flew after him and he had to take refuge in a mouse hole. But how were they to get him out? Some one must stand guard to seize him the moment he put out his head. "Owl must keep guard; he has the largest eyes; he can see well," they exclaimed. Owl went and took up his position before the hole. The sun was warm and soon Owl became sleepy and presently he was fast asleep. Tink-tinkje peeped, saw that Owl was asleep, and zip-zip away he went. Shortly afterwards the other birds came to see if Tink-tinkje were still in the hole. "T-sie, t-sie," they heard in a tree; and there the little vagabond was sitting. White-crow, perfectly disgusted, turned around and exclaimed, "Now I won't say a single word more." And from that day to this Whitecrow has never spoken. Even though you strike him, he makes no sound, he utters no cry. WHY HAS JACKAL A LONG BLACK STRIPE ON HIS BACK? A ZULU VERSION OF THE LEGEND OF THE "ORIGIN OF DEATH"